As I write this introduction, the Marvel Cinematic is ten years old and gearing up towards the “end game”: Avengers: Infinity War! Yes, what started out as a massive gamble with a B-level superhero in Iron Man and has since conquered the globe. The MCU has encouraged plenty of imitators, but it’s never been bettered. And here is my (almost) complete collection of MCU film reviews!!! 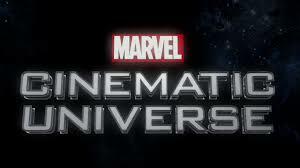 Here’s my blog Marvel Cinematic Universe Films Ranked From Worst to Best! Here’s a selection of my reviews of the MCU on the smaller screen (including Agents of SHIELD and some Netflix MCU shows!